To all my friends and family, It has been nearly 4 months since my father lost his battle with cancer/liver disease. I am so grateful to have had the support system that all of you provided to me during these dark days. During this period, there have been many generous contributions made by awesome individuals in the Forest Hills neighborhood. These contributions were made to the Forest Hills Youth Athletic Association in honor of my father. I am extremely proud to announce that those contributions have been used to purchase a bench in honor of my Dad, Carl Bobick. On October 7th, we will be having a ceremony to dedicate the bench to Pop. We would like to extend the invitation to all of you great people who helped support us during our difficult time. If you would like to say a few words, anybody, we invite you to do so. The ceremony will take place on October 7th at 2:00 pm at the Forest Hills Little League fields at 66-01 Fleet Street. Thank you to all of the kind people who went above and beyond and made contributions so that this day could be possible. I look forward to seeing many of you there! It is with deep regret and much sadness that we inform the FHYAA community of the passing of Carl Bobick. Carl passed away early this morning after a long and courageous battle with cancer. 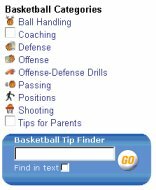 Carl was involved with the FHYAA and it's affiliated sports for over 25 years. 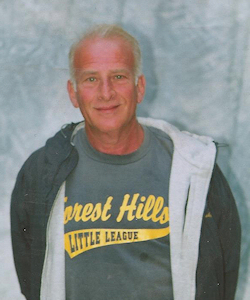 Carl's greatest passion was seeing young children enter our program and watching them grow and improve their skills until they aged out as teenagers and young adults. Carl will be greatly missed. The FHYAA extends our condolences to his entire family. 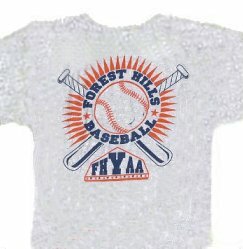 Forest Hills Youth Athletic Assoc. Registrant must appear in person with a parent or guardian who must present the registrant's birth certificate or certified record of date of birth. A $10 reduction for each additional sibling will be honored. Payment of the registration fee MUST be made at registration and may be in cash or check made payable to F.H.Y.A.A. Due to limited facilities of playing fields, registrants will be accepted on a first come, first serve basis. For further information phone 718-544-2296.